College student depression, anxiety, stress, self-harm, and suicide rates are rising across the country. 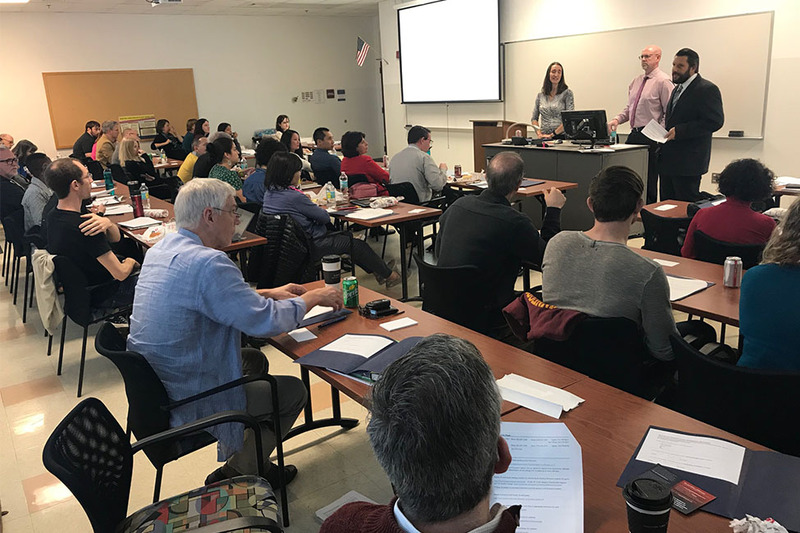 Nearly 40 Florida Atlantic University John D. MacArthur Campus faculty and staff participated in a "Student Crisis Assistance Training" workshop. Laura Vernon, Ph.D., Associate Professor of Clinical Psychology, Harriet L. Wilkes Honors College hosted the discussion-based training as part of "Thrive," an initiative aimed at providing professors, administrators, and staff the tools needed to recognize the warning signs and refer students to appropriate services. "Florida Atlantic University faculty and staff work closely with students and have the potential to make an impact on this problem," said Dr. Vernon. "I designed this workshop to give professors, administrators, counselors, and staff a chance to discuss the complex issues surrounding the well-being of our students. "Workshops are co-lead with a representative from the Counseling Center and the Dean of Students Office. "The "Student Crisis Assistance Workshop" was very effective in explaining the faculty/staff role in the process and how best to utilize the available resources," added William O'Brien, Professor of Environmental Studies and Chair of Humanities and Social Science, Wilkes Honors College. Thrive plans to host another "Student Crisis Assistance Workshop" soon.